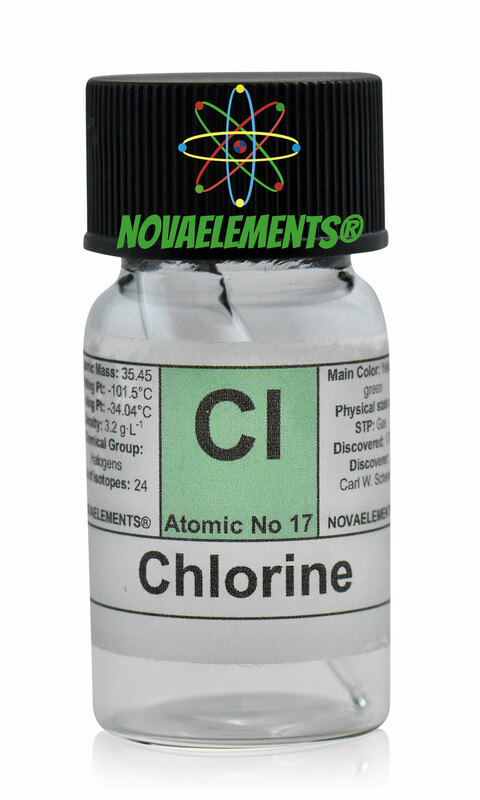 Chlorine is the second element of the Halogens group with chemical symbol Cl and atomic number 17 (Halogens family consists of F, Cl, Br, I, At; At is not in sale cause is highly radioactive and very dangerous for health, the other are not radioactive). Chlorine is a green/yellow gas at normal pressure and temperature. 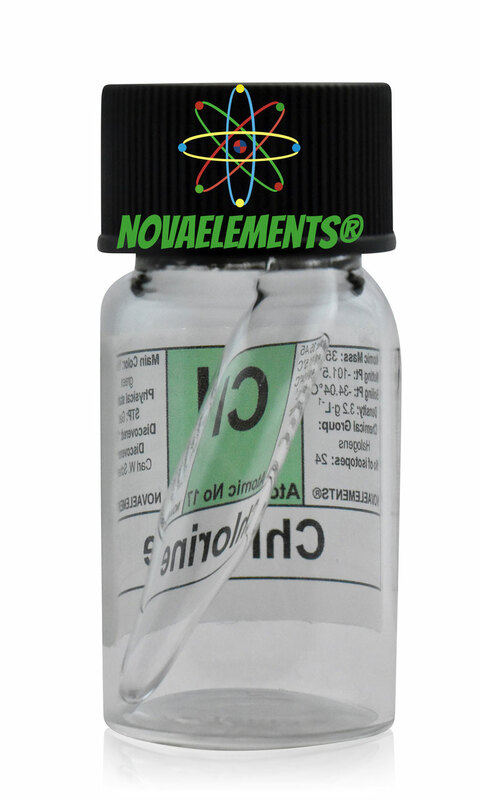 Pure Chlorine gas element 17 sample mix with Helium 20% (Cl 80% He 20%), this mixture prevent damage to the small glass ampoule. Pure Chlorine sample. 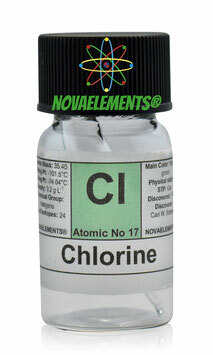 High purity Chlorine gas element 17 ampoule. Pure Chlorine sample. Very green Chlorine ampoules. 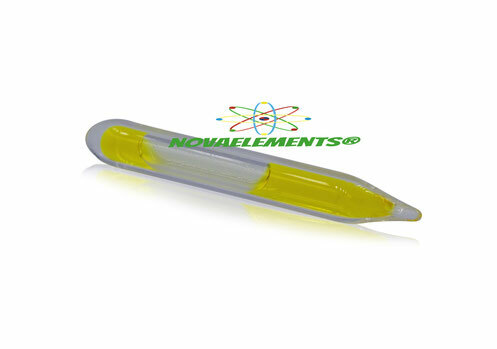 High purity liquid Chlorine element 17 in 3cm long ampoule inside labeled glass vial. You find this sample only from us, beautiful specimen!